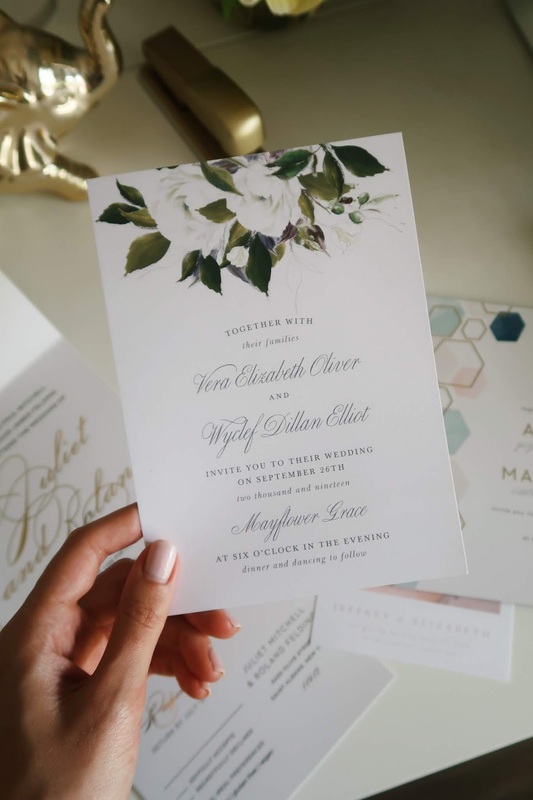 As my mom has said over and over during our wedding planning process - your invitation suite is the first impression of your wedding. Kind of a bold statement when you think about it, but it makes sense since that piece of paper is sitting on their fridge for months leading up to your big day. I've sat and stared at some personalized save the dates and invitations we've received trying to envision what their wedding will look like. We all know that nowadays it's vital to have a wedding website. Things happen, save the dates are lost and your family members are blowing up your phone to find out all the details they misplaced. Rest assured - Basic Invite offers FREE wedding websites that are completely customizable, just like their printables! All of their websites are mobile-friendly and easy to use. You even have options to upload maps, images and any other wedding details you want all of your guests to know. 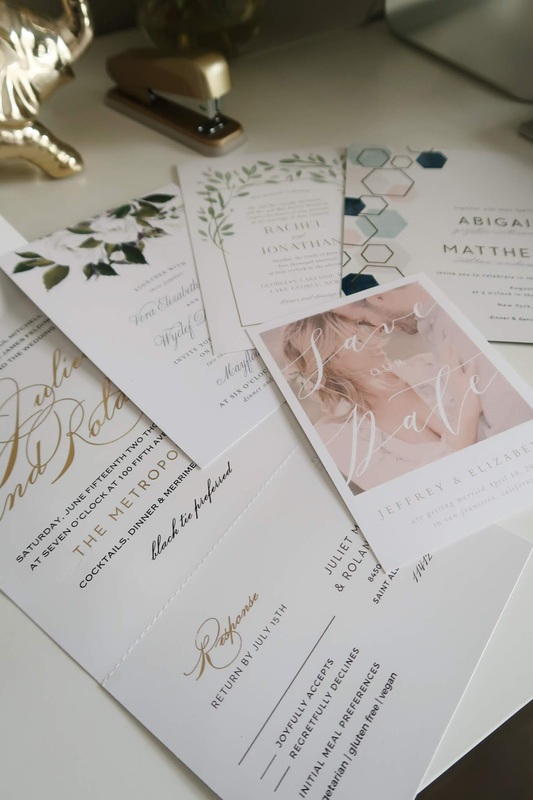 There's even the opportunity to pick a site design that matches your invitation suite! Basic Invite is one of the only websites that allows you to choose almost unlimited color options and preview the final print online. Once you start working on a design, you have the option to change the color of every element on the page with over 180 color options. I had a lot of fun with this when I was designing some samples on their site. Super easy to use! So you want to make things easy? Try out their Seal & Send Wedding Invitations! It's an all-in-one invitations with a tear-off RSVP card included. These are one of the newer designs in their collection, and brides have been loving them so far! 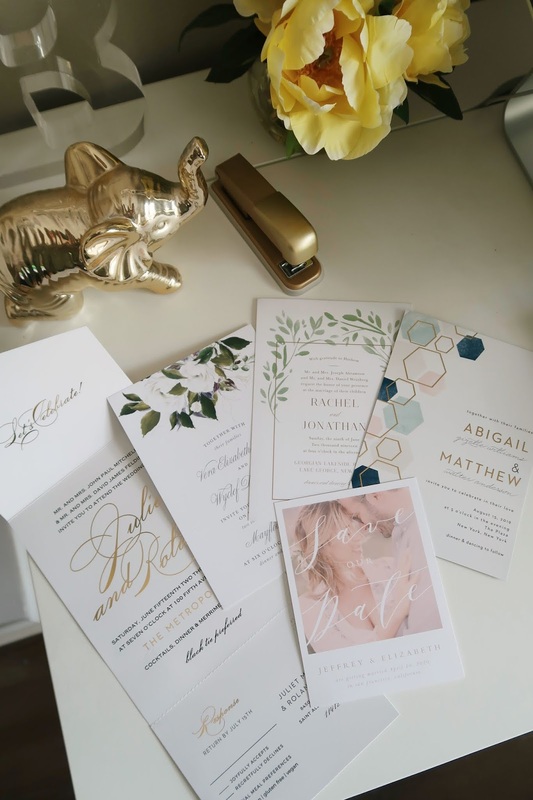 What's extra special about these designs is that the addresses are printed on the front of the invitation, so there's no additional envelopes necessary. 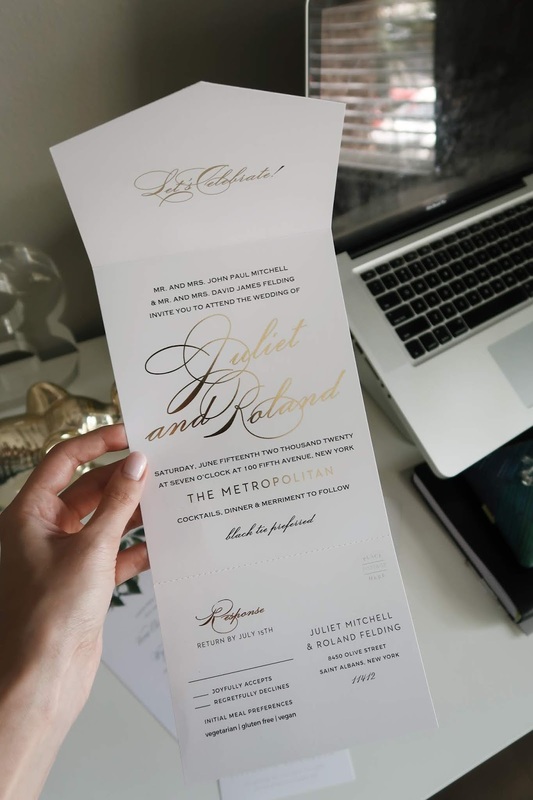 Plus, you can apply the postage right to the invitation for your guests to return with ease. Brides can choose from more than 90 designs of wedding coasters on Basic Invite's website. Each design can be personalized to match your color scheme and there are no color limitations - you can make as many changes without any additional costs! Each wedding coaster is printed using the latest print technology and on a premium 200lb matte cardstock. Now you know I love something different than the rest! 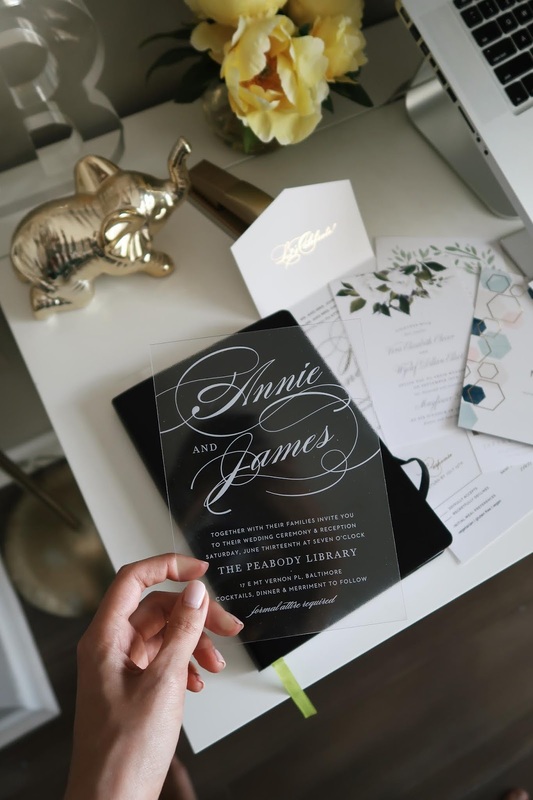 These acrylic invitations are trending all over the Instagram and Pinterest world, but how can you now love them? I think they are the coolest thing. 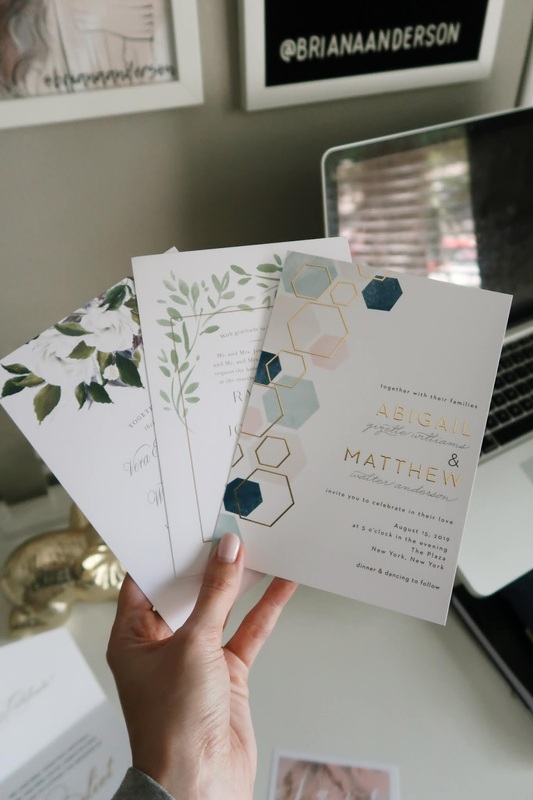 Basic Invite even has options for acrylic personalized save the dates, RSVP cards and business cards on their website. 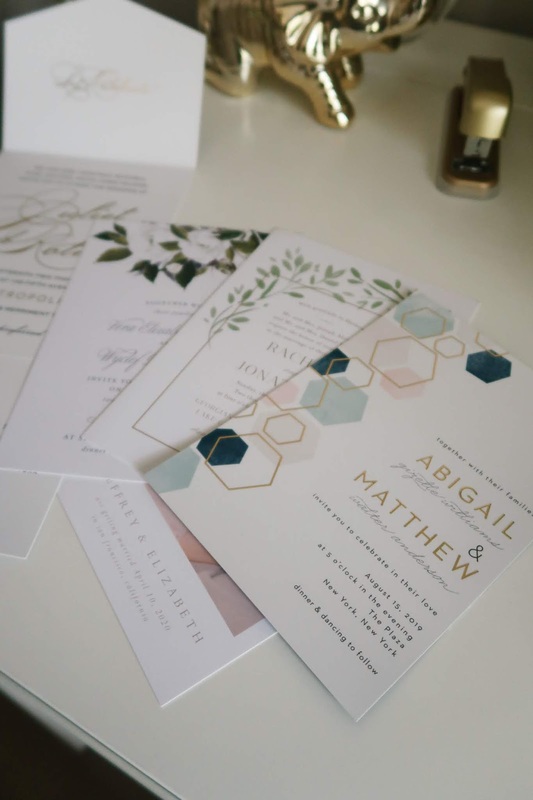 If you haven't taken the chance to check out the designs on their website and experience all Basic Invite has to offer, you can try it all here. Looking for a little inspiration? Take a peek at Basic Invite's Instagram, Facebook or Pinterest for some design ideas. The quality is incredible for their friendly prices! Thanks to Basic Invite for sponsoring this post. As always, all opinions are my own.